An Alabama judge just stunned the Democrats and may have upended the entire abortion debate in this country by granting legal rights to an aborted child. Ryan Magers’ girlfriend wanted to get an abortion and he opposed the move but she was determined to go through with it. He was looking for a legal solution when the mother aborted the baby against his wishes. So he wanted to sue the abortion clinic but feared he would lose suing as just the father. So he tried a miracle – get a judge to grant the right to the aborted child so the child’s estate could sue the clinic. Wow, this is huge. From Theepochtimes: An Alabama judge granted legal rights to an aborted child after the father sued the abortion clinic that ended his child’s life against his wishes. Ryan Magers, the father, filed a wrongful death lawsuit last month claiming he didn’t want his girlfriend to abort Baby Roe, the legal name granted to the child, according to the lawsuit. He was seeking legal help when the mother aborted the child, according to Magers’ attorney, Brent Helms. In order to bring a wrongful death suit on behalf of the unborn child, Helms petitioned a county probate court to grant Magers the right to represent Baby Roe’s estate; Probate Judge Frank Barger approved the petition. According to Helms, the judge’s decision is the first time an aborted child was granted rights to an estate and the right to bring a lawsuit in the United States. “Ryan could sue on his own behalf as the father but in order to be able to sue on behalf of Baby Roe we had to open an estate,” Helms told The Epoch Times. In a memorandum of support (pdf) for the estate petition, Helms cited seven Alabama State Supreme Court decisions which, since 2011, either explicitly or implicitly recognized the personhood of unborn children. Helms filed the lawsuit with the Circuit Court of Madison County, Alabama, on February 6. The lawsuit (pdf) names Alabama Women’s Center for Reproductive Alternatives, the people involved in performing the abortion, and the pharmaceutical company which produced the pill which the mother took to abort Baby Roe. “He said he doesn’t want any father to go through what he had gone through and he also wants to protect unborn children,” Helms said. Magers got a tattoo after the abortion. “On this tattoo, he has three roses. Those are to remind him that the baby is beautiful. Whether it was a boy or a girl it would have been beautiful in his eyes. Also on the tattoo, he’s got a watch. That watch is to remind him that time is precious and you should make the best of the time that you have here on this earth,” Helms said. Magers repeatedly pleaded with his girlfriend not to abort the child. 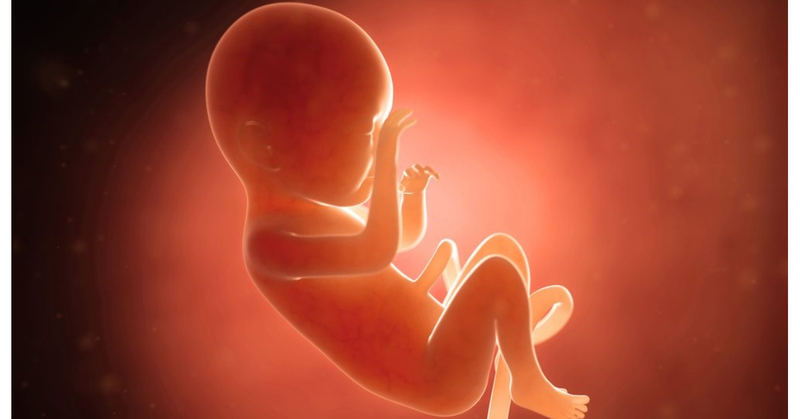 “In between the discovery of the pregnancy and the date of the appointment, [Magers] repeatedly pleaded with the mother not to kill Baby Roe,” the lawsuit states. The memorandum in support of the estate petition states that the mother aborted Baby Roe in the first trimester of the pregnancy. According to the lawsuit, Baby Roe’s mother went to the abortion clinic and took a pill to abort the child. Baby Roe died on Feb. 12, 2017, the lawsuit states. Magers is asking for a jury trial. The case is currently at the lowest level court in Alabama, two tiers from the state’s supreme court.